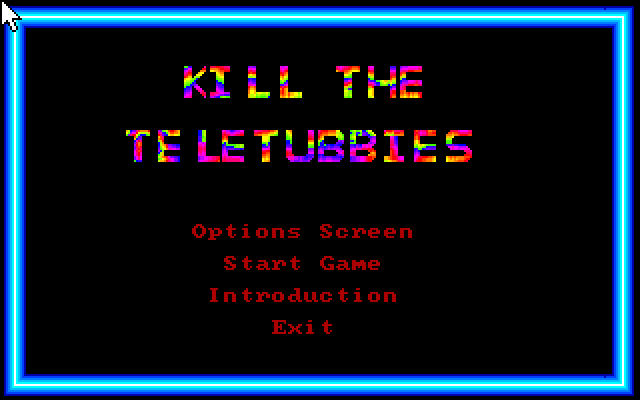 Kill The Teletubbies was a humorous diversion for us while at college, and was one of our first games for the PC. 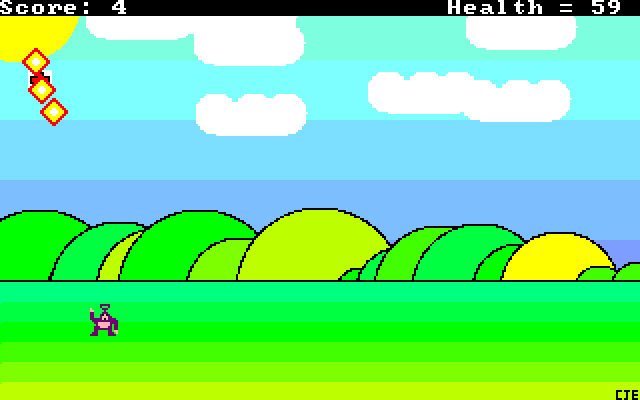 Written in 1998 it was amongst the first game to parody the famous UK television series “Teletubbies” in this manner, and had many fans who distributed it mainly by hand, copying floppies with the game on it as this pre-dated our internet presence. Much like dragonfly this game no longer runs on modern operating systems, but may be run without issue on DosBox.